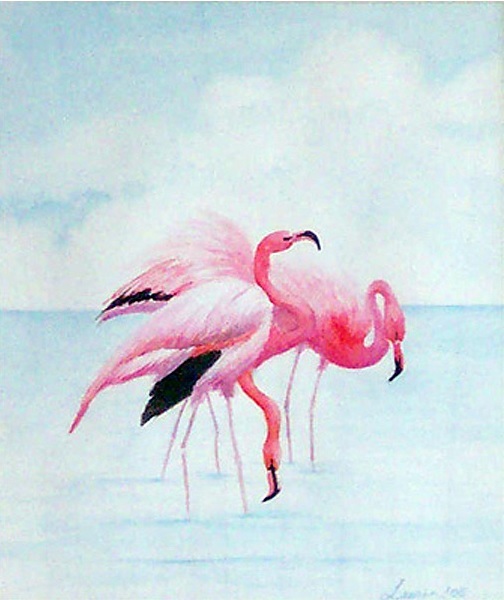 Shelley Laurin has been painting in watercolor for almost 20 years. 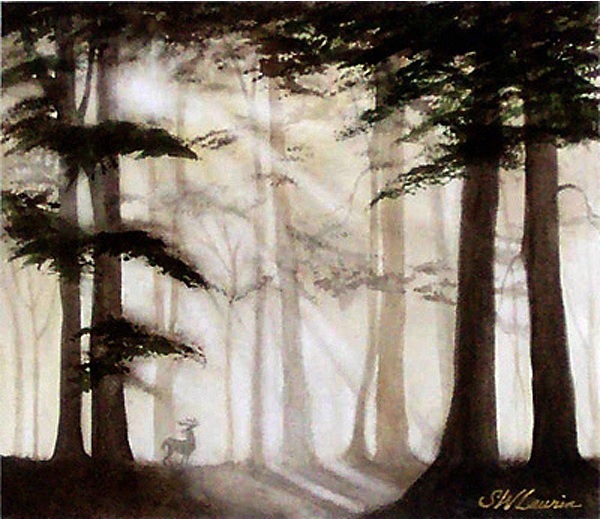 Largely self-taught, she has taken workshops with Don Andrews, George James and Ralph Taylor. Her work has won awards at the NCAA Sidewalk Show, the Annual Arts Clayton Juried Show, and the Espresso Lane Coffeehouse Monthly Exhibit. 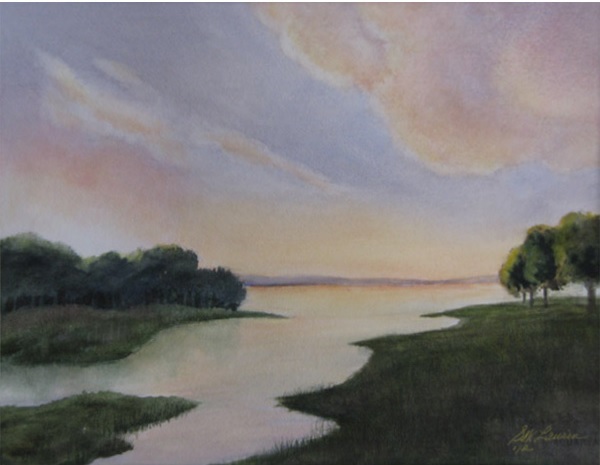 She has had several pieces juried into the traveling SCAVA shows. Her life size “Seahorse”, painted to raise money for the Newnan Coweta Historical Society’s Childrens’ Museum, was a favorite of Newnan tots when it was displayed on the Courthouse Square. It can now be seen at its permanent home–Newnan Ultilities Park. 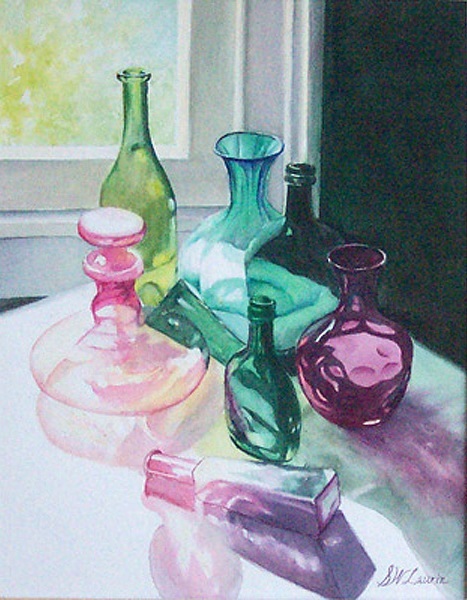 Shelley’s colorful watercolors hang in many homes and offices in the Newnan Coweta area. 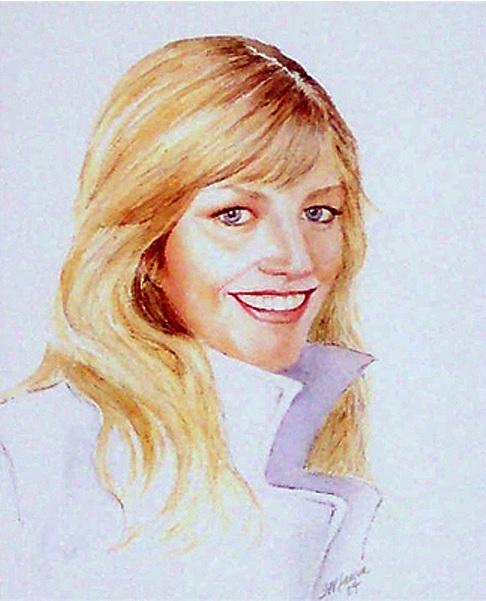 Her commissioned work includes the Newnan Courthouse, Something Special (house and garden), and several historic Newnan homes as well as portraits of people and pets. 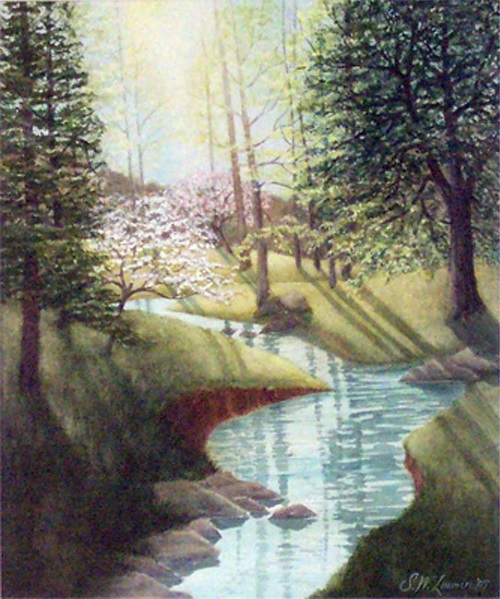 Shelley also teaches watercolor classes, beginner to advanced, at her home in Moreland. 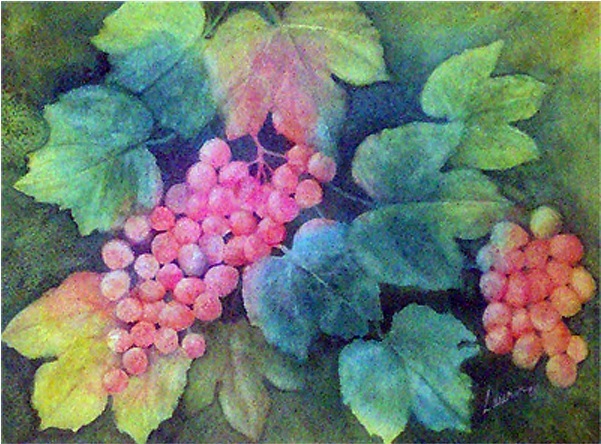 Beginners are led through two initial paintings to experience the unique “feel” of watercolor. Students need not buy supplies for these first few sessions. 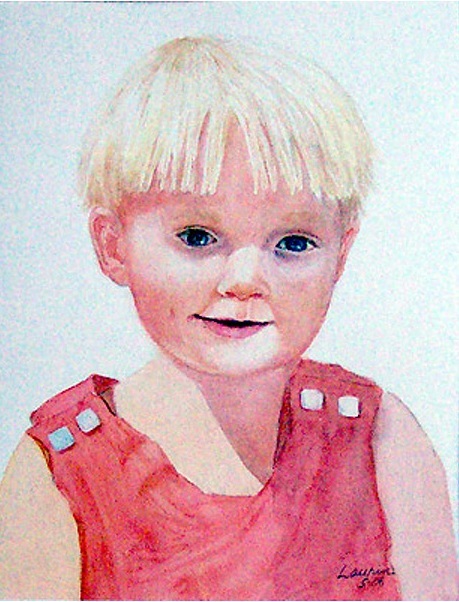 Technical information on paints, paper, brushes and color mixing is added gradually as the student progresses. All students are encouraged to develop their own subject matter and style, and classes are kept small, assuring individual attention for everyone.